Picture 1. The plug-in dialog (Windows version). The legends on untitled buttons are displayed when the mouse moves over them. Examples in this section show how to use the plug-in. Download DescreenSamples.zip for the sample images. Open FalseMoire.jpg in Photoshop. Launch Descreen. Deselect Automatic. Choose Sensitivity Light and Sensitivity Dark to minimize moiré. Set up Blue channel preview. Choose Sensitivity Yellow to minimize moiré in Blue channel. Click OK. Close the file without saving. Open the scanned image in Photoshop. Launch Descreen. Select Reduce Moiré. If the image was scanned properly and has a distinct screen, the plug-in will calculate screen frequency and screen angles of the image. If the plug-in fails to calculate screen frequency, change the Preview area and click the Screen Measure button. If the plug-in fails to calculate screen angles, change the Preview area and click the Screen Angles Measure button. Screen frequency should be measured first, then the screen angles. If screen angles or screen frequency are not specified, the OK button remains unavailable. When the plug-in is detecting screen frequency it searches within the Expected screen range. If processing a batch of image from one source it is recommended that the Expected screen range is set to a narrow one. For example if the images are 175 lines/inch, set the expected screen range to 160...190. The plug-in will then only search within this narrow range. The works of the plug-in become steadier and there will be fewer error alerts. The Screen Angles fields should be filled with the screen angles of the image to be processed. The plug-in calculates the screen angles over the part of the image shown in Preview and fills-in Screen Angles fields; otherwise they remain empty. 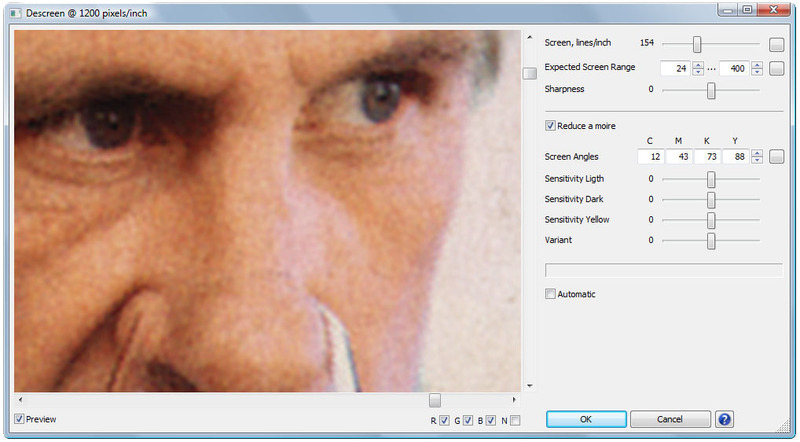 You can use the Screen Angles Measure button to measure the screen angles over the part of the image you see in Preview. This button is on the right of the Screen Angles fields (see Picture 1). Alternatively you can measure the screen angles by the Photoshop Measure Tool (see Measuring screen frequency and the screen angles by the Photoshop Measure Tool). If the plug-in has detected CMK angles, however has not detected Yellow angle, you can set it manually. Click the B button under the Preview window to see Blue channel. Click on the small arrow button near the Y field. 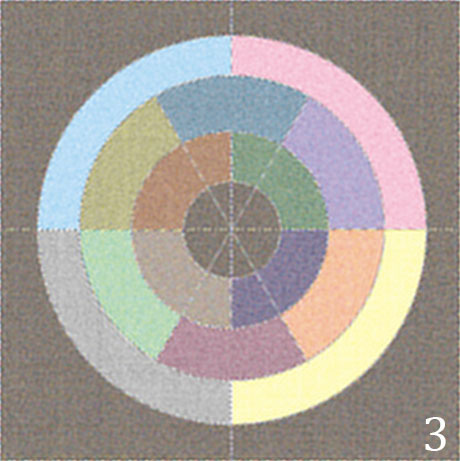 Choose Yellow angle at which moiré reduction in Blue channel will be the best. If you will not specify Yellow angle, the halftone moiré pattern in Blue channel will not be reduced. The colours of the CMKY letters over the Screen Angles fields correspond to the way these angles have been entered (see Picture 1). If a screen angle has been measured by the plug-in, its letter is black. If a screen angle has been entered by the user or calculated by the plug-in based on other measured angles, its letter is grey. The angle between CMK inks is usually 30 or 60 degrees. Therefore, if the plug-in has measured at least one of the angles, it can calculate the other two by adding 30 and 60 degrees. To reduce the halftone moiré pattern, at least two angles of CMYK must be specified. Otherwise the OK button will be disabled. The Professional edition of the plug-in enables you to set sensitivity separately for dark and light areas (Sensitivity Light, Sensitivity Dark) and for Blue channel (Sensitivity Yellow). When you are setting Sensitivity Yellow, turn on preview Blue channel to see yellow moiré in this channel. Sensitivity Yellow affects only Blue channel. When you change the Variant control false moirés sometimes change its locations. So you may descreen the same image at different Variants and then combine the results to choose better areas. The default value Variant is 0. It is possible that during moiré reducing the moiré pattern becomes more prominent. This phenomenon is called "false moiré" in this guide. The false moiré usually appears near "problem areas" such as sharp details of the image or lines parallel to screen lines. An example of a "problem area" is text placed over a photograph. To eliminate the false moiré, reduce the Sensitivity. Also you can try the Variant control. Low quality printed originals are for example newspapers printed on uncoated paper. 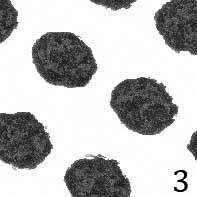 After descreening these images, one can see maculation, grain and poor contrast especially in shadows and highlights. 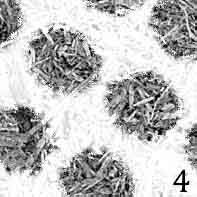 The maculation and the grain are due to heterogeneity of the uncoated paper. The poor contrast is due to its poor absorbability. When the plug-in is launched it determines the screen frequency to process the image. Depend on plug-in settings there are three ways to determine the screen frequency. If an Action was recorded without Automatic option and the Screen slider was not set manually, the frequency will be detected at each launch of the plug-in. If the Expected Screen Range was manually specified, the plug-in will search the frequency within this range, otherwise within full range. When processing a batch of images, it is recommended that the Expected Screen Range be narrowed to be 80% and 120% of the expected screen frequency. This makes the processing become steadier. If you are sure that all images in the batch have the same frequency, it is better to record an action with the frequency specified manually. Set the zoom percentage to 300—400%. Find an image area with a single ink. Choose Measure Tool from the Tools. Using it, connect the centres of two screen dots 20 dots apart along a screen line. The angle of screen line and the distance between the two dots will be shown on the Info Panel. Dividing 20 by this distance measured in inches, you will get screen frequency in lines/inch. For most images a difference between angles Cyan, Magenta and Black is 30 degrees. If you have measured one angle you can find the others two by subtracting or adding 30 degrees. 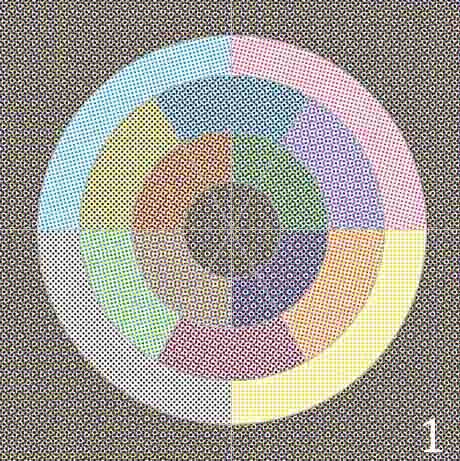 For example, if Cyan = 42 degrees, you can put Magenta = 12 and Black = 72. Any permutations do not affect the result. You can put C12 M42 K72 or C72 M42 K12.